An official report by the United Nations Committee Against Torture released Friday found that the United States has a long way to go if it wants to actually earn its claimed position as a leader in the world on human rights.Following a lengthy review of recent and current practices regarding torture, imprisonment, policing, immigration policies, and the overall legacy of the Bush and Obama administration’s execution of the so-called ‘War on Terror,’ the committee report found the U.S. government in gross violation when it comes to protecting basic principles of the Convention Against Torture, which the U.S. ratified in 1994, as well as other international treaties.This was the first full review of the U.S. human rights record by the UN body since 2006 and the release of the report follows a two-day hearing in Geneva earlier this month in which representatives of the Obama administration offered testimony and answered questions to the review panel. The report’s findings do not reflect well on the U.S., a nation that continues to tout itself as a leader on such issues despite the enormous amount of criticism aimed at policies of torture and indefinite detention implemented in the years following September 11, 2001, the invasions of Afghanistan and Iraq that followed, and the global military campaign taking place on several continents and numerous countries that continues to this day. 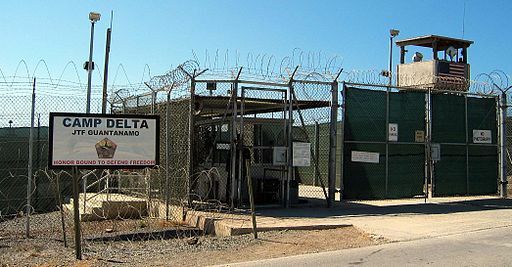 The Committee expresses its grave concern over the extraordinary rendition, secret detention and interrogation programme operated by the U.S. Central Intelligence Agency (CIA) between 2001 and 2008, which involved numerous hum an rights violations, including torture, ill – treatment and enforced disappearance of persons suspected of involvement in terrorism – related crimes. While noting the content and scope of Presidential E.O. 13491, the Committee regrets the scant information pr ovided by the State party with regard to the now shuttered network of secret detention facilities, which formed part of the high – value detainee programme publicly referred to by President Bush on 6 September 2006. It also regrets the lack of information pr ovided on the practices of extraordinary rendition and enforced disappearance; and, on the extent of the CIA’s abusive interrogation techniques used on suspected terrorists, such as waterboarding. Many of the harshest criticisms are reserved for the Bush administration’s excesses between 2001 and 2009. But the committee is critical of how the current US government has failed, in its view, to clean up the mess that was created in the wake of 9/11. In particular, it wants to see the US acknowledge torture as a specific criminal offence at the federal level, thereby removing possible loopholes in the law. It also urges the US Senate select committee on intelligence to publish as quickly as possible its report into the CIA’s historic detention and interrogation programme that has been caught up in political wrangling for months. In addition to criticizing other policies related to military engagement abroad, the committee slammed the U.S. for many of its domestic policies, including prolonged solitary confinement of those in prison; charges of “prolonged suffering” for those exposed to “botched” state executions; heavy-handed and discriminatory policing practices in the nation’s cities; the treatment of juveniles in the criminal justice system; and serious problems with its immigration enforcement policies. This entry was posted in Civil Rights, Demonstrations & Protests, Government, International Agreements, National Security vs Police State, Social Justice, Solidarity, War Crimes and tagged Atrocities, Guantanamo Bay, International Agreements, Police Brutality, Riot Police, Security, United Nations, War Crimes on December 1, 2014 by ew.